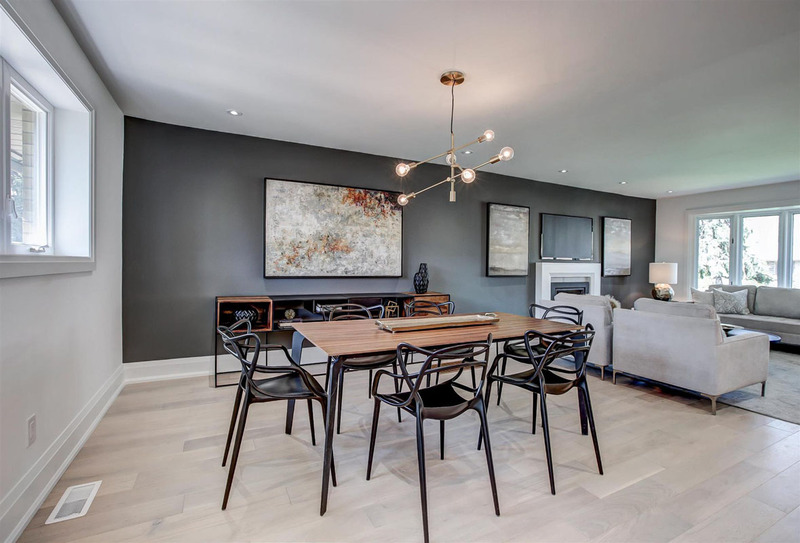 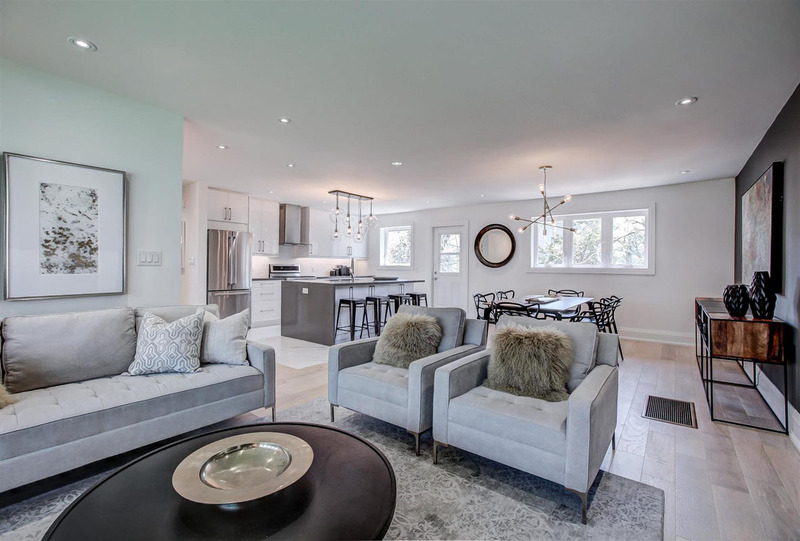 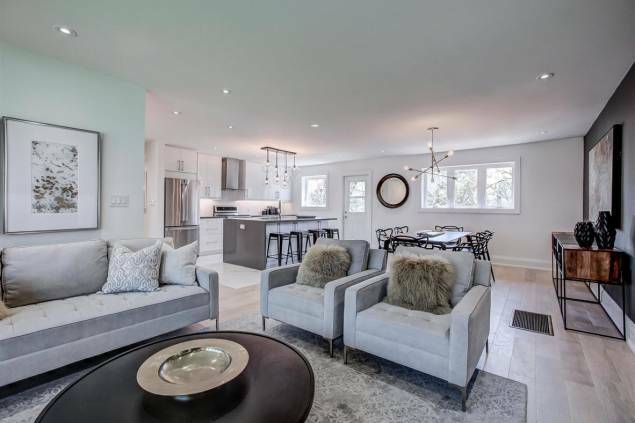 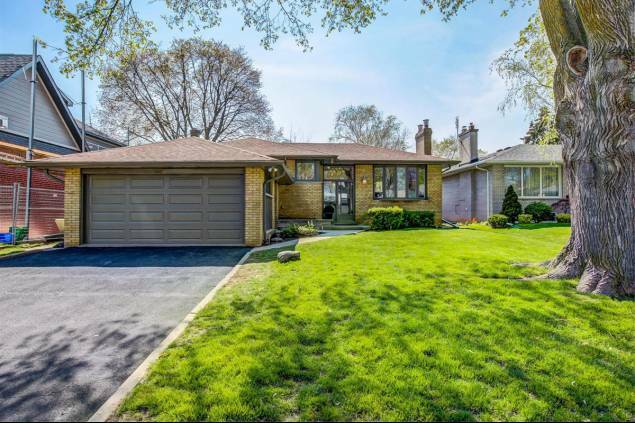 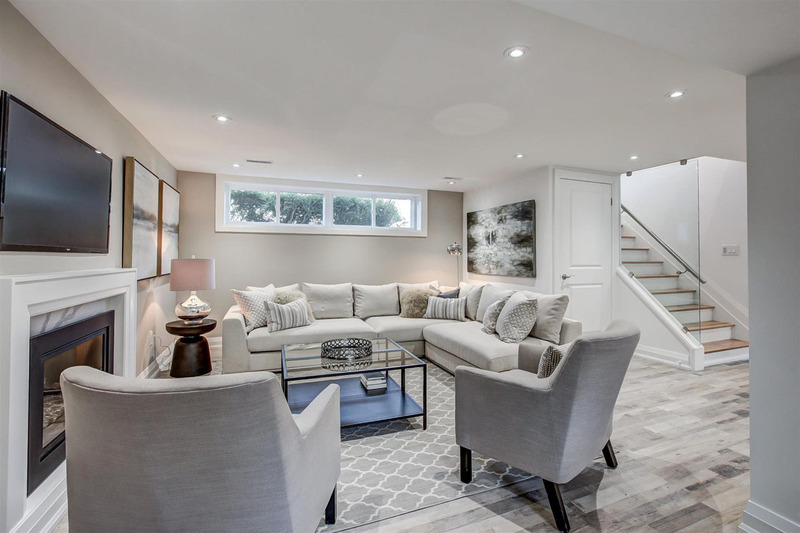 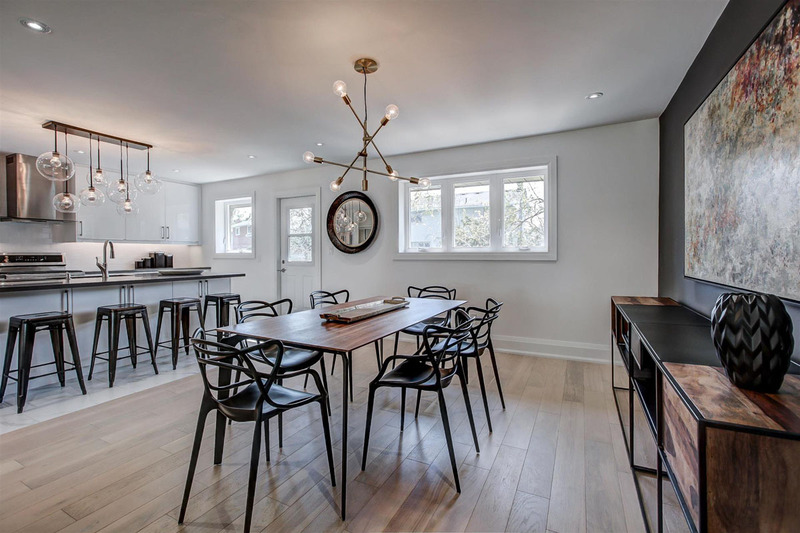 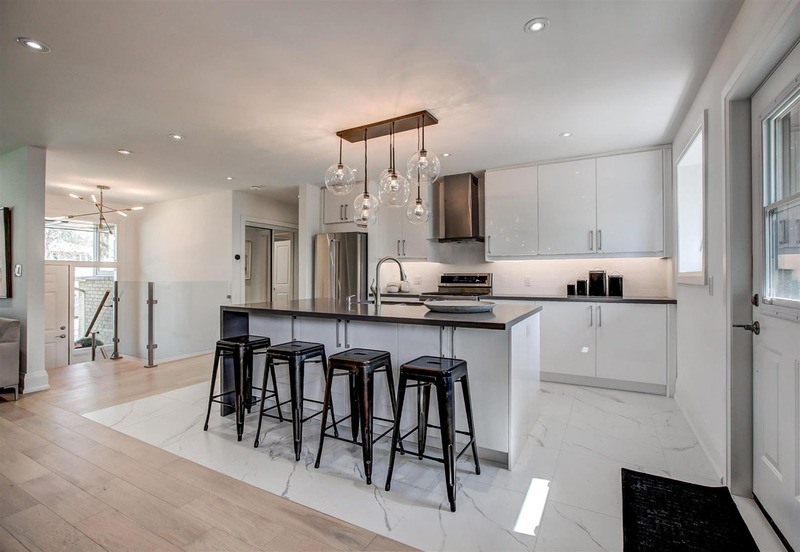 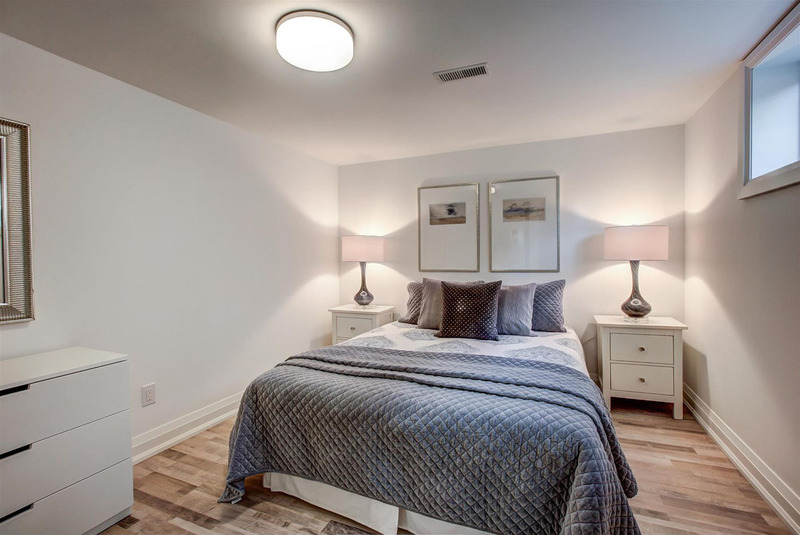 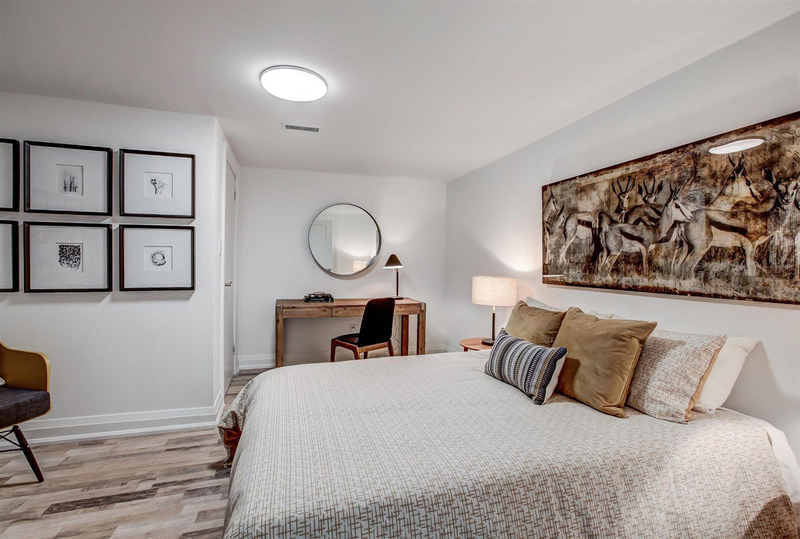 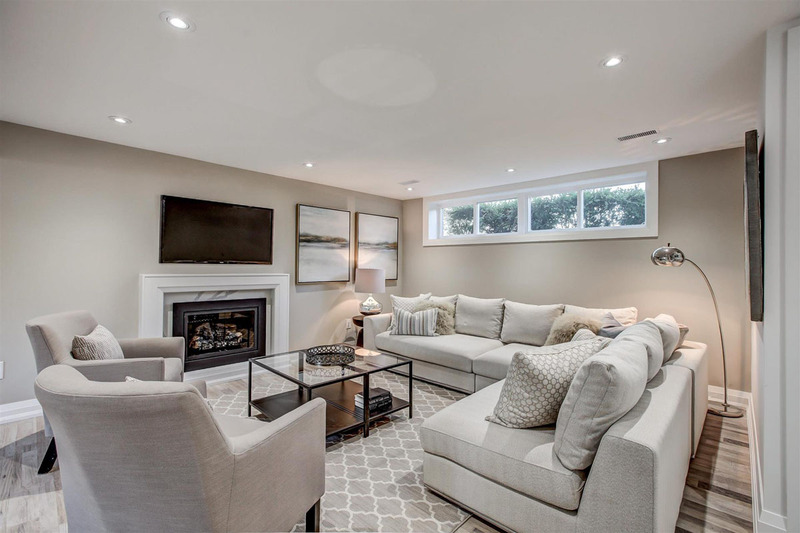 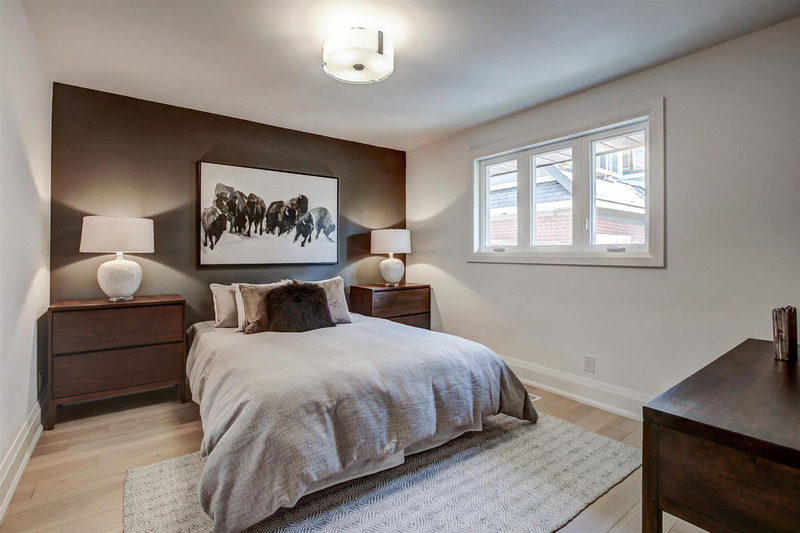 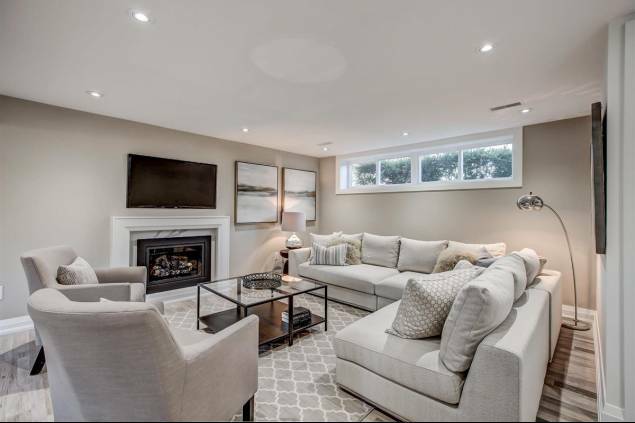 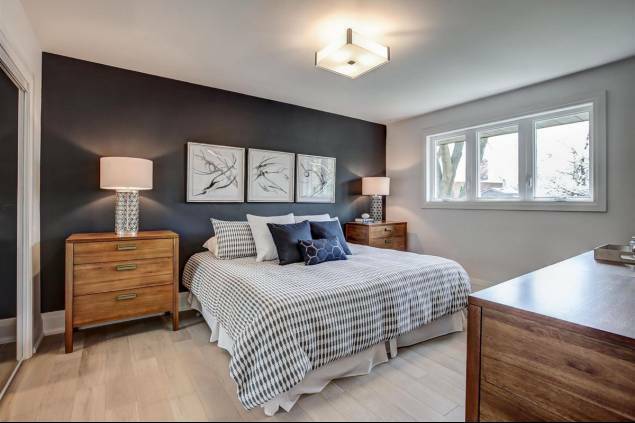 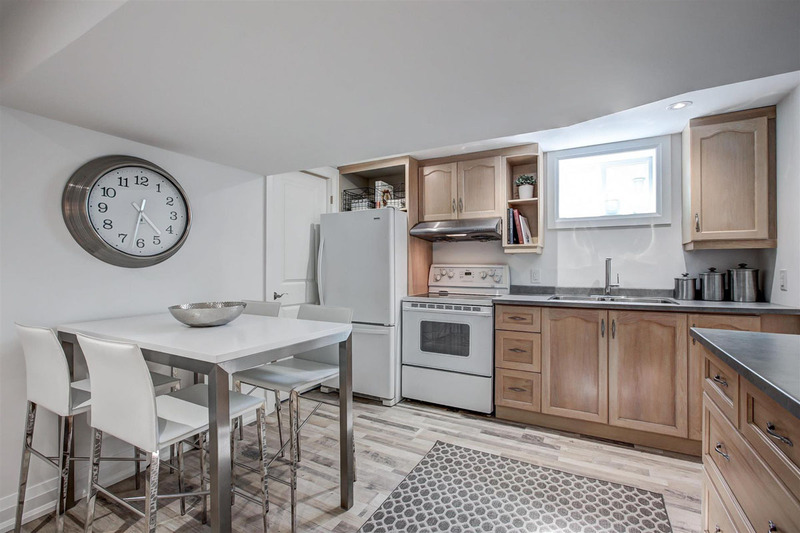 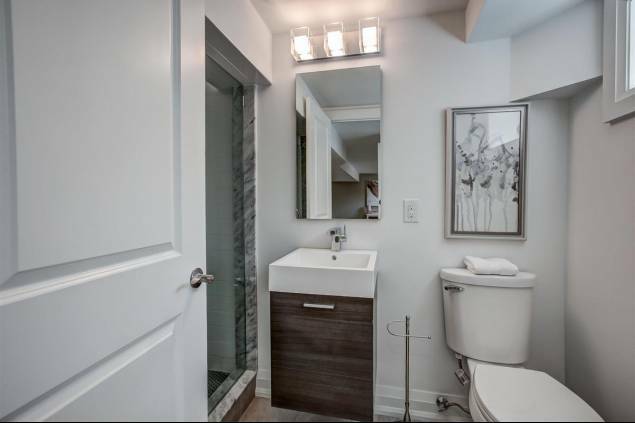 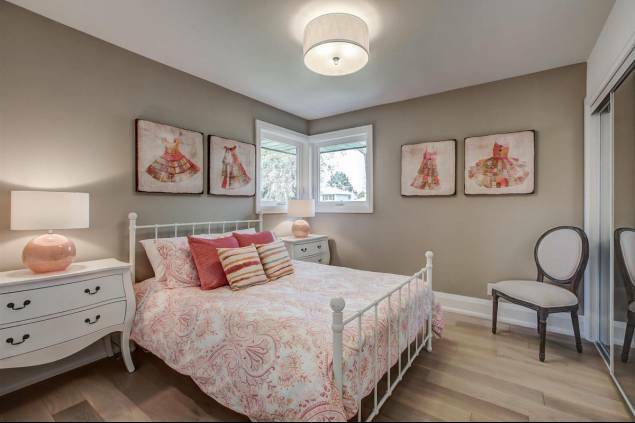 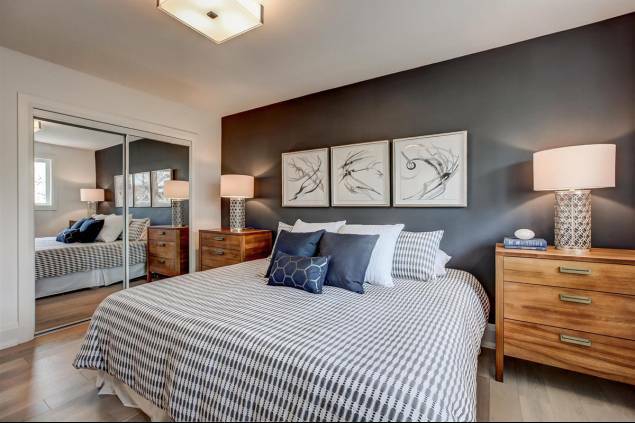 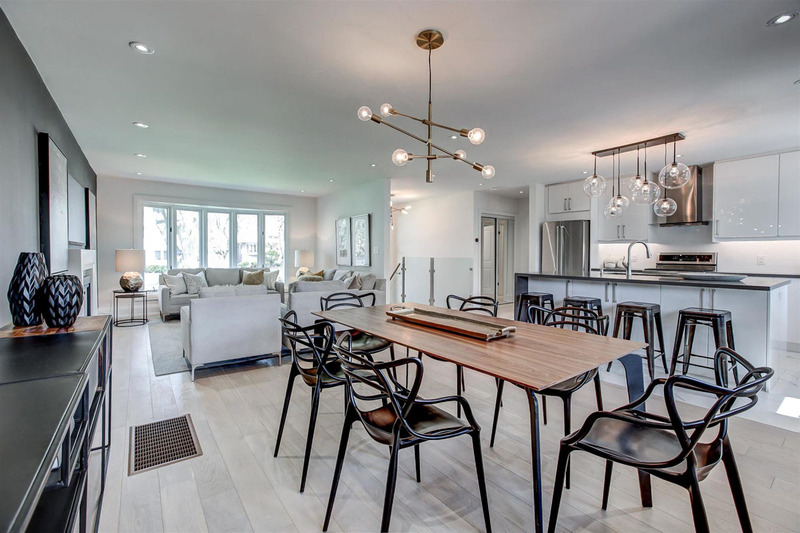 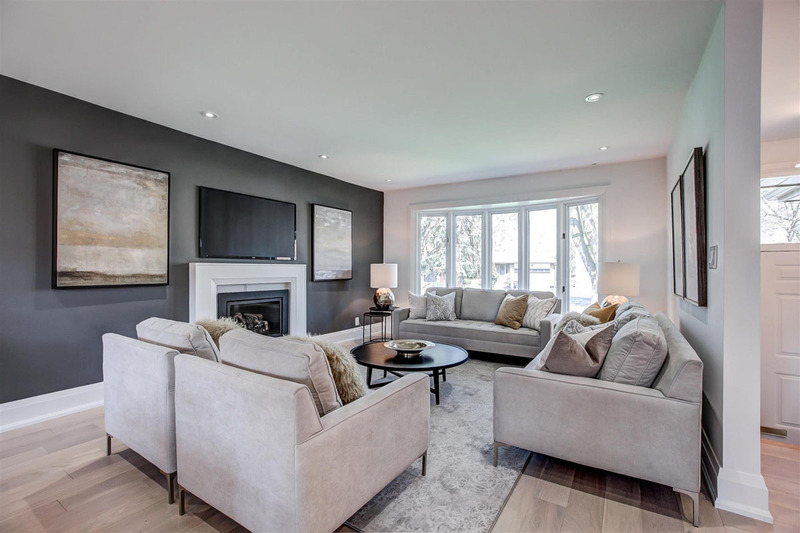 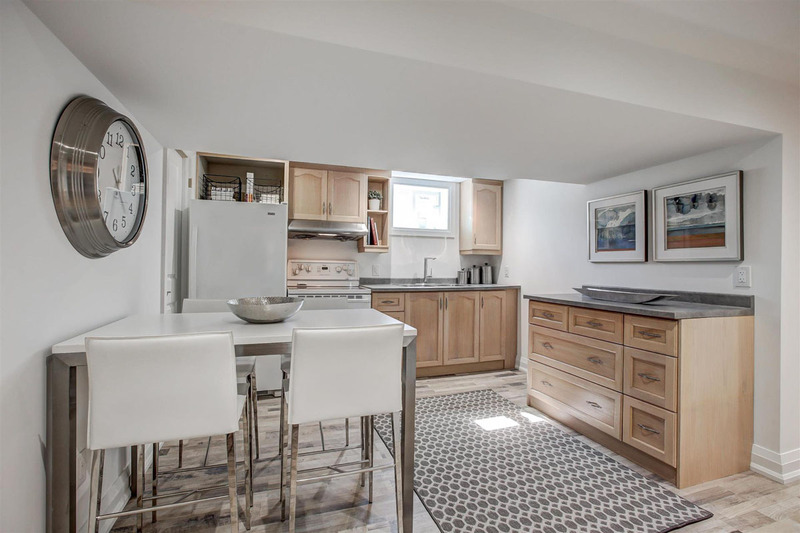 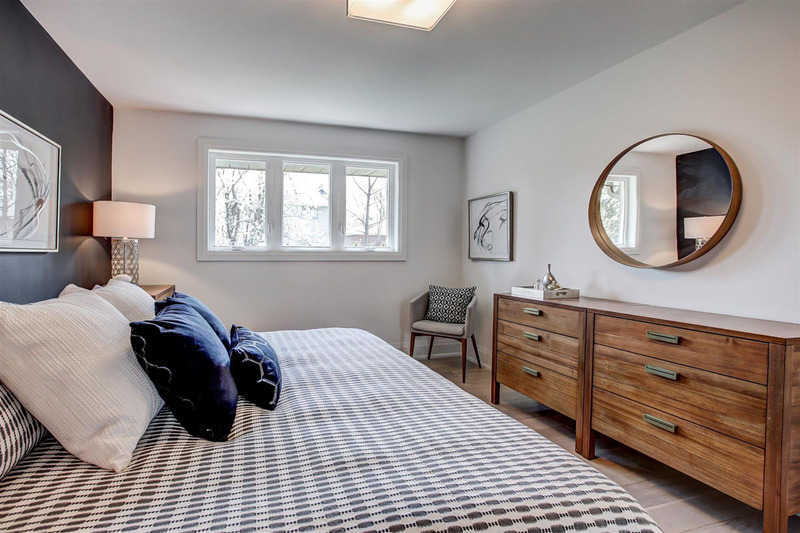 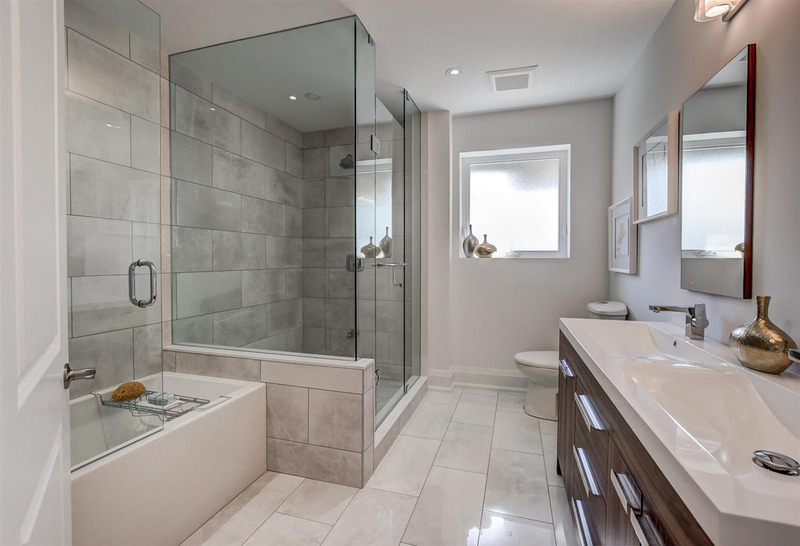 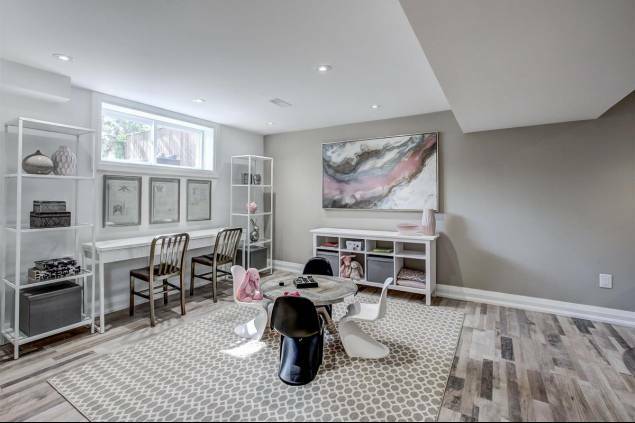 Spectacularly renovated 3+2-bedroom, 3-bathroom bungalow with double car garage in Richmond Gardens & in Father Sera & Richview School District! 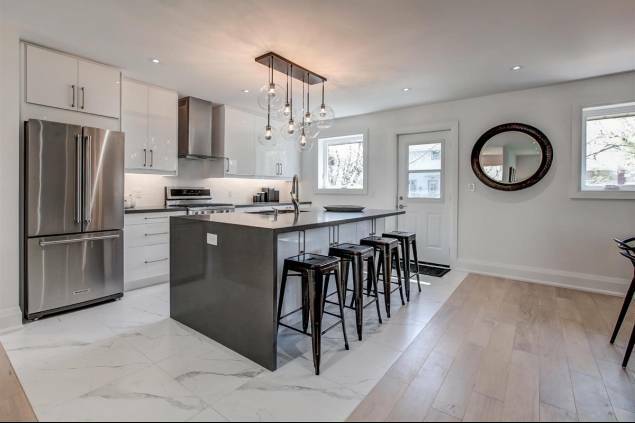 New white high gloss kitchen with waterfall stone counters, island & stainless steel appliances, engineered hardwood floors & pot lights! 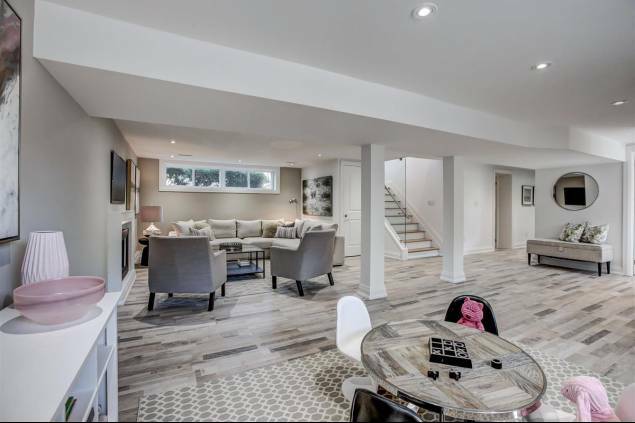 Finished basement with separate entrance & versatile nanny suite (sound-proofed) & can be divided different ways or kept as a single family home. 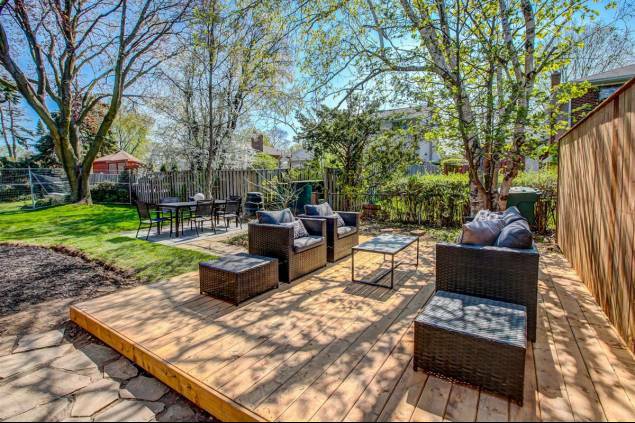 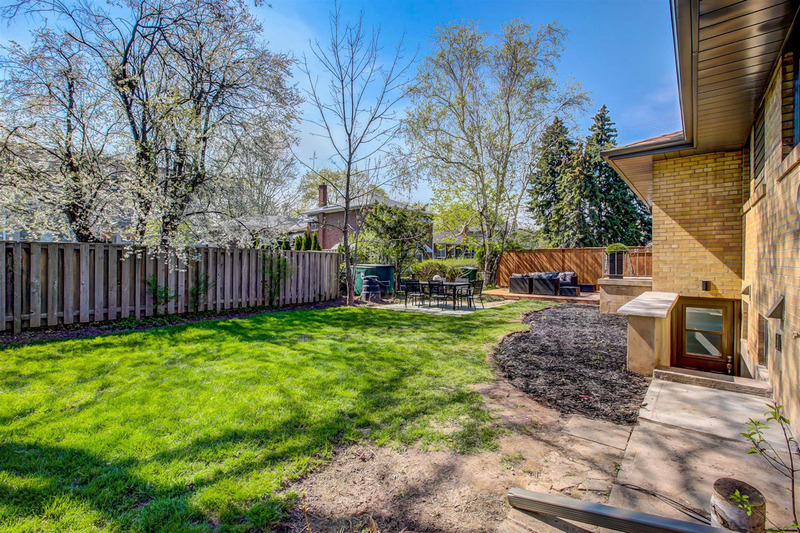 Sunny west-facing backyard with deck & patio! 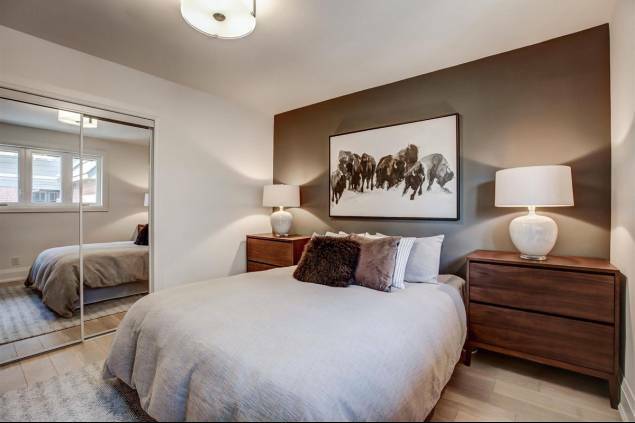 Close to TTC, shopping & parks. Extras: French doors bottom freezer fridge, stove, range hood, dishwasher, washer & dryer. All electric light fixtures. Basement fridge & stove. 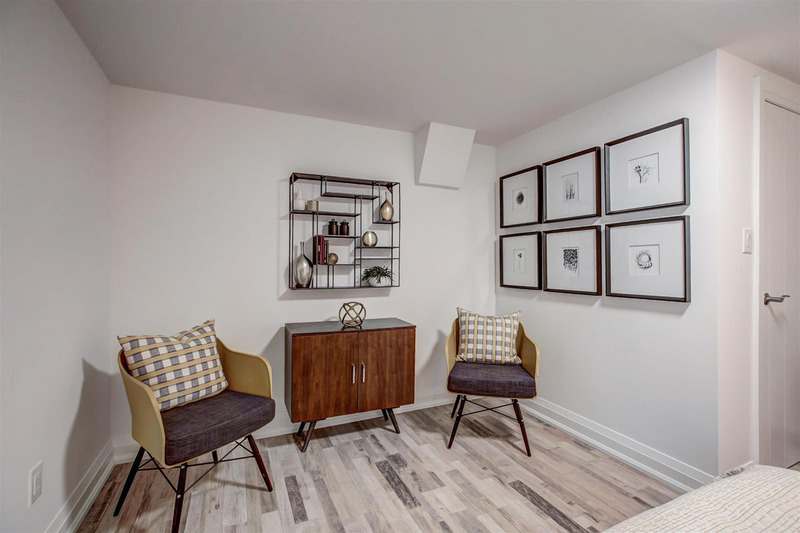 Furnace & central air conditioner. 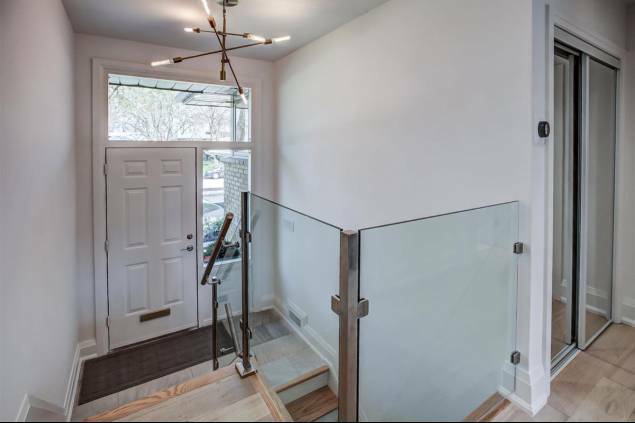 Exclude: Foyer, dining room and island light fixtures. 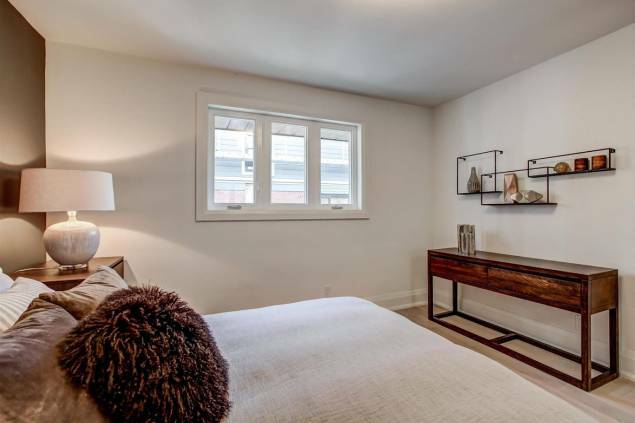 Iron shelves in guest bedroom and basement bedroom.